Learn all the basics to make a completed lap size quilt in four sessions. 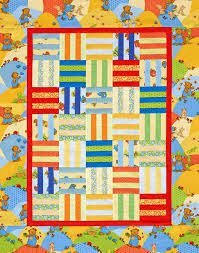 Learn about selecting the right fabrics, color, rotary cutting, sewing quilt blocks and binding your quilt. Learn in a fun, non-stressful environment. Instructor: Sherri.